Th e IBANGS 17th Annual Genes, Brain and Behavior (GBB) Meeting provides an excellent opportunity for those involved in research in the fields of behavioural genetics and neurogenetics to present their latest findings, to learn about new research developments, and to interact with others with similar interests. 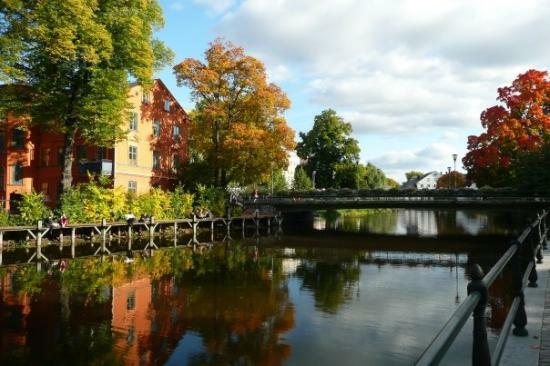 The 2015 GBB meeting will be held on the campus of Uppsala University, the oldest university in Scandinavia (est. 1477), at the Evolutionary Biology Centre. The Program Committee invites IBANGS members and non-members to submit abstracts for poster and oral presentations using the 2015 Abstract Submission Form. Abstracts will be accepted with a deadline of February 14, 2015. In addtion, Travel Award requests are now being accepted. A limited number of stipends are available for graduate students, post-doctoral fellows, and junior faculty members who have held faculty rank for less than 5 years. Visit http://www.ibangs.org/travel-awards for more details.